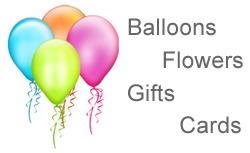 Welcome to Balloon Box, we have a huge range of balloons and beautiful gifts in stock, established in 2009 we have a regular and loyal clientele, we are sure that we can cater to your needs for whatever your occasion. Balloon Box are ready to give you exactly what you need and we help you make that special occasion into a day that will be remembered forever. We have cards for all occasions baby gifts, gifts in balloons, a wide range of Elliot & Button Me 2 U Bears and a wide range of party goods including flowers for all occasions (made to order). We also deliver to hospitals, hotels and offices. Talk to us about your up and coming special occasion and we can help turn it into a fabulous occasion. Remember people love to celebrate special occasions, with parties, events or just cheering that special person up. 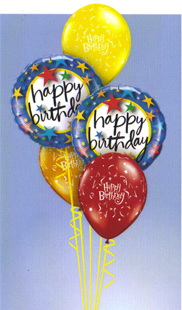 Balloons are just wonderful for decorating and gift ideas. We have designs that are just perfect for every occasion. We offer the finest quality balloons and balloon arrangements that are hard to find anywhere in Newcastle. We have the experience to handle any occasion whether it be big or small. We can even deliver and set up your party. We specialise in custom arrangement using helium filled latex and/or foil balloons. We can even build and deliver your balloons, and we are becoming known for being specialists in making beautiful table centrepieces for weddings and special events. We offer a very large selection of balloons to choose from and we can make columns and arches suitable for any event or occasion. We can even deliver all the flowers, the party favours and utensils needed whether it be for a birthday or for any other special event you may be thinking of having. Call us on 0191 286 66 96.